SAMe (S-Adenosylmethionine) found in Denamarin is shown to increase the glutathione levels, an important compound for liver health. It has also been shown to help protect lever cells and may help repair and regenerate. Denamarin also contains silybin which has been shown to support liver function by helping maintain a healthy oxidative balance. Contains 90 mg of S-Adenosylmethionine and 9 mg of Silybin A+B. 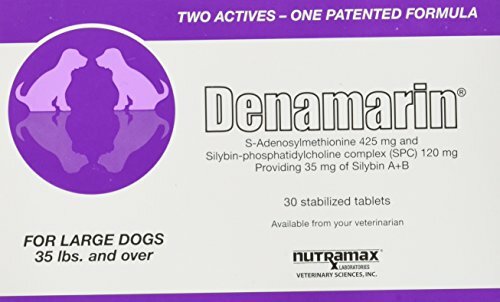 Denamarin Chewable Tablets by Nutramax combine S-Adenosylmethionine and silybin, which support your dog's liver healthand produce revolutionary results. 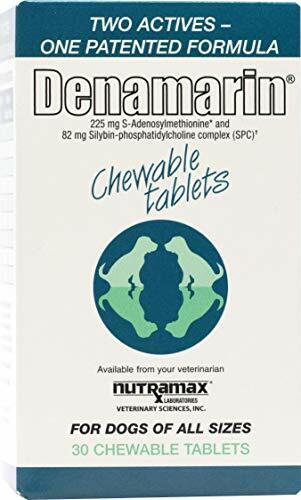 Get started by picking up a pack of Denamarin Chews today and protect your dog’s liver’s health. 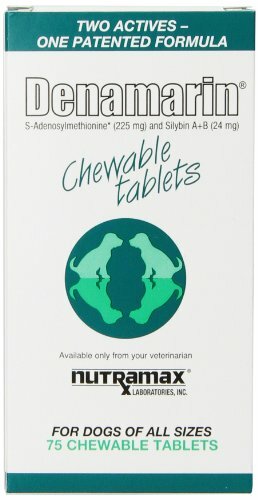 Denamarin Chewable Tablets should be given on an empty stomach, at least one hour before a meal for optimal absorption.